Krishan Kumar from Jaipur is the new Mr. Desert, taking top honors at the beard contest held during this month’s Desert Festival in Jaisalmer, India. Jaisalmer, known as the Golden City, is located in Rajastan, the Land of the Kings. 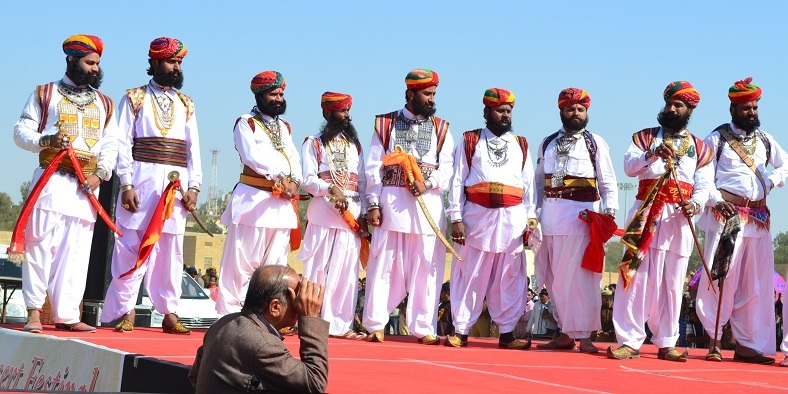 In addition to the beard contest, the annual festival features camel races, folk dancing, turban tying competitions, and plenty of other activities suited for this extravaganza of Rajasthani culture. Everything is exotic in the Desert Festival, amidst the golden sands of the Thar Desert. With a final musical performance by folk singers under the moonlit sky at the dunes in Sam, just outside Jaisalmer, the festival comes to its end. The beard contest is only open to beardsmen living in Rajasthan. Next year’s festival takes place from February 20-22, 2016.